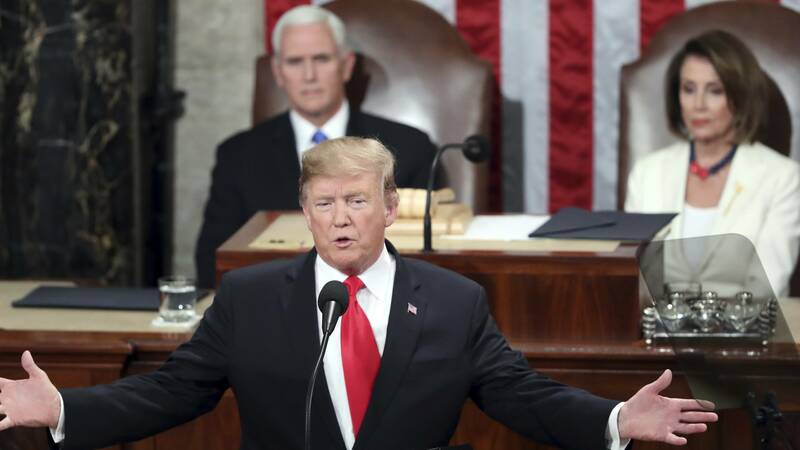 President Trump gave his second State of the Union address to members of Congress. MPB's Jasmine Ellis has reaction from Mississippi's congressional delegation. During President Trump's speech he mentioned the importance of Democrats and Republicans working together. Mississippi Republican Senator Cindy Hyde-Smith attended the State of the Union address. In a recorded statement she says the most important thing about the president's speech was his message about unity. "It was about working together," said Hyde-Smith. "It was about let's do what is best for this country. Let's put petty politics aside. And let's make some things happen." President Trump also reaffirmed his commitment to eliminating illegal immigration, human trafficking, and drugs by building a border wall. In a recorded statement, Mississippi Third District Republican Congressman Michael Guest says that he plans on supporting the president's desire to build a border wall and tackle the war on drugs. "The war on drugs requires us to secure our southwest border," said Guest. "And I am proud to support the president on these issues as a member of the Committee on Homeland Security in the House of Representatives. And the committee's border security subcommittee." Mississippi Second District Democratic Congressman Bennie Thompson is Chairman of the House Homeland Security Committee. In a statement Congressman Thompson says he's "disappointed" that President Trump still views the border as "our number one crisis." He also says he hopes the president is "serious about unifying this nation."